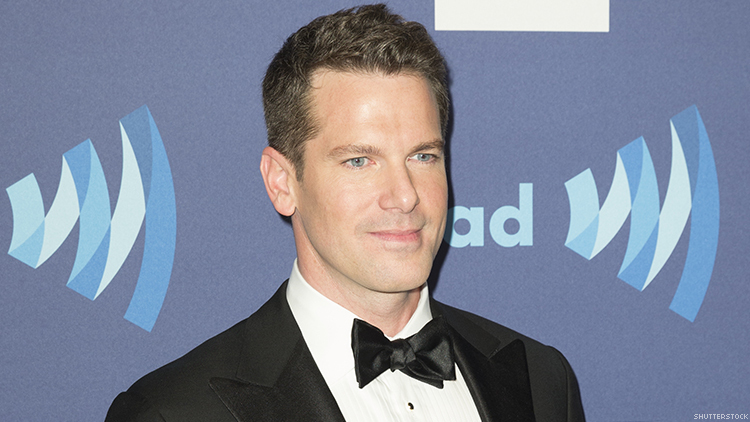 After Leaving MSNBC, What's Next for Thomas Roberts? The out journalist made history by anchoring the national news in 2015, but his presence shrunk at MSNBC since the presidential election. Thomas Roberts is no longer at MSNBC as of last week, writing on Facebook that, "I am very proud & grateful for my experience at NBC/MSNBC. And coming up next, Stay Tuned…"
After his daily show, Live With Thomas Roberts, was canceled in December, the journalist served as a weekend anchor for MSNBC. He was recently replaced by Ayman Mohyeldin, leaving Roberts without a forum. During his seven years at MSNBC, Roberts served as guest anchor for NBC Nightly News — making history as the first gay anchor of a national news program — and earned MSNBC an Emmy in 2015 for his coverage of marriage equality. Roberts's exit leaves the network with Steve Kornacki and Rachel Maddow as the two most prominent out journalists there. Meanwhile, CNN employs Anderson Cooper and Don Lemon, while Shepard Smith is one of the few bright lights at Fox News.